The nature of CPD in the IT industry is such that professionals must invest their time in a range of activities, some narrow and focused on specific skills and others quite broad, keeping up with trends and developments in business and technology in general. I also believe that in today’s environment professionals must be actively engaged as both producers and consumers of content in social networks as a means to learn and help others to do so. Personally I found this comment positive and hits on not only the importance of learning and CPD but also on what to do following learning something. Using a typical learning cycle, this comment calls out an additional step that should be included around communicate. Identify your need for learning and what you need to do your job. Put this into your CPD Plan. Carry out your learning event and record it into your CPD Plan. Look back on what you have learnt. Was it useful and how you can use this learning. Following reflecting consider what you can communicate to others in your role, job, company, Social Media. Even if this is just recommending the learning you have just completed. 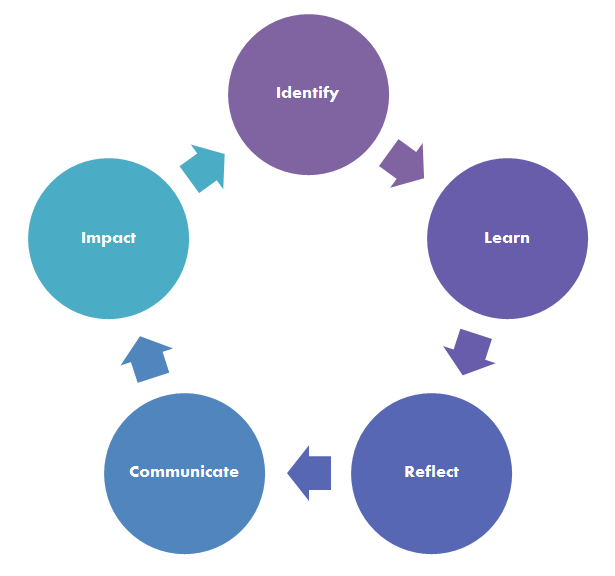 Its important to measure the impact of your learning on your job and also following the communicate stage. Look at how you have used this learning and how it has impacted what you do.